This post is the second in a two-part series highlighting two innovations in St. Louis and Philadelphia to support foreign-trained and educated immigrant professionals. To read the first, click here. “When I came to the United States I thought that finding a job in my field would be easy. The reality slammed my face: is not easy, even if you have enough qualifications.” Irene Contreras’ sentiments are all too common. An immigrant from Venezuela with a bachelor’s degree and five years of experience, Irene couldn’t find a job to put her knowledge to use despite her qualifications. The unemployment or underemployment of foreign educated and trained immigrants in the United States is a large problem known as ‘brain waste.’ According to the Migration Policy Institute’s 2016 report, Untapped Talent: The Costs of Brain Waste among Highly Skilled Immigrants in the United States, “The pending retirement of many baby boomers, low U.S. birth rates, and the shift toward the knowledge economy are combining to leave many regional economies without the highly-skilled workforce they need to grow and attract business.” Unfortunately, most of the country’s institutions and infrastructures fail to recognize and embrace the skills and potential of the highly-skilled immigrant professionals that could fill those gaps. MPI’s research shows that (as of 2016) 1 in 4 college-educated immigrants, a total of near 2 million workers, are stuck in low-skilled jobs or are unemployed (also showing that they fare worse than their US-born counterparts, for which the number is approximately 1 in 5). This outcome is a real loss to the many talented professionals that struggle to provide for themselves and their families, and is a real loss to the local economy. Since 2003, Welcoming Center for New Pennsylvanians in Philadelphia has accelerated immigrant integration and economic advancement through education and training, employment, and entrepreneurship, and has served over 17,000 people from over 150 countries. Through its years assisting immigrants with its broad cadre of services and resources, much of which aims for secure and meaningful employment, and its data-driven approach, the Welcoming Center developed a program to address one of the largest issues they know immigrants are facing: brain waste, fueled by the fact that employers want workers with U.S. work experience, but you can’t get it if you don’t already have it. 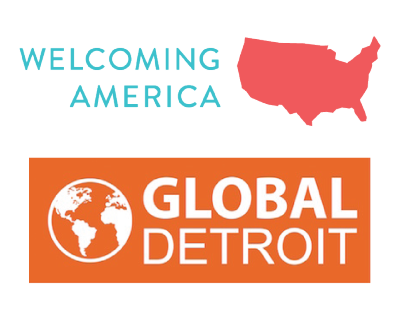 In 2014, the Welcoming Center launched the International Professionals Program (IPP) to help immigrants gain that U.S. work experience and secure full-time employment that utilizes ones skills and knowledge. IPP is a focused, practical, and efficient training program to accelerate foreign-educated professionals’ re-entry into the workforce. At the core of the IPP is an 8 week intensive curriculum meant to develop the skills, knowledge and networks that participants will need in order to successfully connect to full-time employment. Philadelphians holding a degree from a foreign university and work authorization are eligible for the free program, which averages between four to seven hours of class each week. After the 8 weeks, participants receive 6 months of one-on-one coaching. IPP participants identify their personal and professional experiences as part of developing their resume. 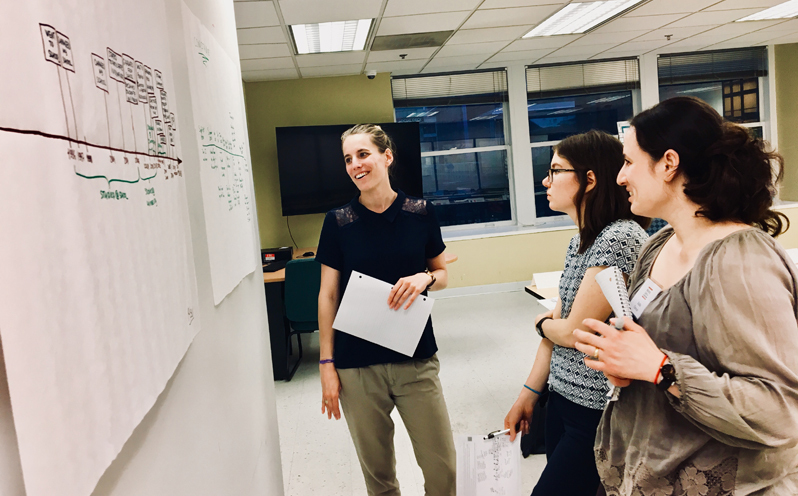 Alongside learning about U.S. job search standards and workplace culture, participants work with program administrators to develop a detailed and personal action plan to guide them on their career path. Administrators are knowledgeable of the challenges immigrants typically face and the misunderstandings that pose issues, and are able to help divert the participants from those pitfalls along a smoother and more direct career path. While IPP could technically stand alone, the Welcoming Center has gained insights into how valuable it is that IPP is embedded in its spectrum of services available, both for the program and the immigrant community. The ability for the various programs to leverage each other has fortified them as a whole. The Welcoming Center has seen the most crossover between the Immigrant Leadership Institute and IPP: Institute participants entering IPP have developed extremely valuable confidence needed to be successful in IPP, and IPP graduates have moved into leadership roles, through the Institute and elsewhere within the Welcoming Center, which expands their capacity broadly and strengthens their ties to the community. 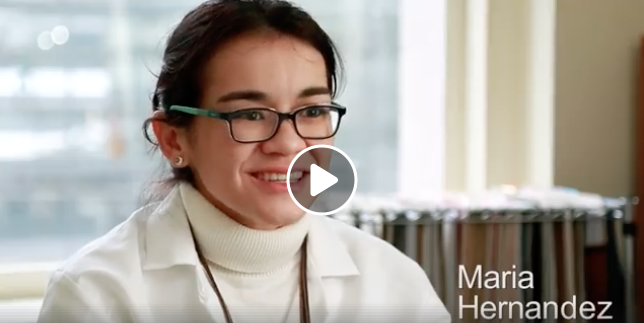 Watch the Welcoming Center’s video about immigrant professionals in Philadelphia. Each graduate is provided with six months of one-one-one coaching after the 9-week intensive, and to date the Welcoming Center has helped place more than ninety percent of graduates into meaningful employment within that six month period. Graduates also join the community of alumni that provides opportunities for peer support and networking. IPP actively engages employer partners to identify potential employment opportunities for program graduates, and move towards developing more formalized talent pipelines. Further, these employer partners provide ongoing feedback to inform program design through an Employer Advisory Council that specifically focuses on IPP. Engaging employers on the front end and throughout flips the traditional loop on its side, and employers become a driver of talent development as opposed to a receiver of talent. Employer needs help steer the ship which better ensures that their worker needs are met, fulfilling both sides of the equation. Additionally, IPP has opened doors for more innovation: In 2017, the Welcoming Center helped build the City of Philadelphia’s City Immigrant Fellowship Program, the first of its kind. The program is a 12-week paid, part-time, and project based fellowship experience throughout the City of Philadelphia’s various agencies with the intention of providing immigrant professionals with the critical U.S. work experience they need to obtain full-time employment. The Immigrant Fellowship Program would not exist without IPP and the Welcoming Center at its core: the Fellows were prepared for the opportunity first through IPP, and the Welcoming Center is responsible for their coaching and ongoing support. Learn more about this innovation at National Skills Coalition. In 2014, the Welcoming Center was awarded multi-year learning grants from the Barra Foundation and the Knight Foundation to make IPP a reality. 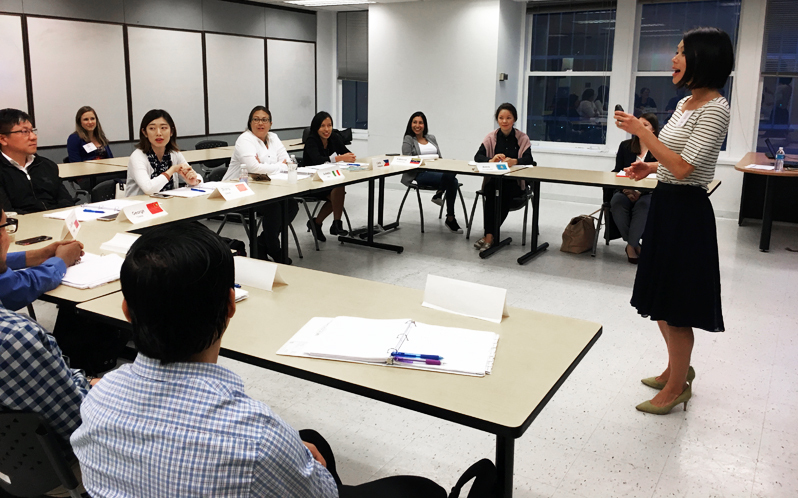 Today, the Welcoming Center partners with Philadelphia Works Inc. (PWI) to run this program and ensure that Philadelphia’s growing community of skilled immigrants receive the guidance necessary to accelerate their integration into the local workforce. PWI is Philadelphia’s local workforce development board that is responsible for allocating public workforce funds to match with local priorities. PWI’s involvement helps make the program free for all participants. While CAIP is about half the length of IPP and focused more on soft skills development, CAIP participants receive career pathways planning support prior to joining. IPP participants receive all of these components together through the 9-week program. The funding structure of IPP could serve as a new model, replicable nationally, of public workforce funds supporting skilled immigrant integration. IPP is the first immigrant professional-focused program being supported by Title I Workforce Innovation and Opportunity Act (WIOA) funds, which funds workforce development through a combination of education and training services to prepare individuals for work and to help them improve their prospects in the labor market. The Welcoming Center recognizes that the City’s leadership and ethos of welcoming to immigrants helped make this funding a reality, and is part of a greater investment strategy in the future of Philadelphia. By year’s end, IPP will have graduated 9 cohorts and 120 immigrant professionals since 2017, doubling the number of graduates from 2017 to 2018. This year the Welcoming Center conducted research on the economic impact of the International Professionals Program (IPP) on the state and region. The research shows that every $100,000 invested in IPP generates over $4 million in net new wages to participants, and almost $300,000 in new City and Commonwealth tax revenues. The report highlights the potential IPP has to improve participants earnings initially, but also into the future: career advancement opportunities improve, opening doors for higher salaries and more opportunities for growth. In short, IPP has the potential to completely alter one’s opportunities, career path, and livelihood for the better. Read the report summary: The International Professionals Program (IPP) Produces a High Return on Investment. The Welcoming Center identified four high-growth industries in Pennsylvania and developed detailed career guides for each industry: accountant, mechanical engineer, systems analyst, and teacher. These guides outline the process for becoming a certified professional and provide information about various types of jobs within each field, regional employers who hire these professionals, salary ranges, and employment resources. IPP has provided the opportunity for the Welcoming Center to engage with the local employer community in a much more targeted and strategic way, more than they had had ever done before. Through this engagement, with the Employer Advisory Council and beyond, they have identified four top priorities of employers, and used this to hone their corporate engagement strategy and value proposition. This impacts not only the success of IPP but all of the Welcoming Center’s programs and local inclusion efforts. IPP has also given the Welcoming Center the opportunity to look at how foreign-born residents are building skills, competence, and confidence through the program, and what’s working best. Both the Welcoming Center for New Pennsylvanians and International Institute of St. Louis are leaders in the movement and founding organizations of our Network. Their efforts to take leaps and build new bridges and venture into new territory to make communities and economies more inclusive are monumental. Immigrant economic development practitioners have learned a lot from them, and they have inspired other communities to follow in their footsteps. In this challenging time, institutions like these two are a beacon. If you are interested in learning more about IPP or exploring how your organization could develop a similar program, please contact: ipp@welcomingcenter.org or 215.557.2830.